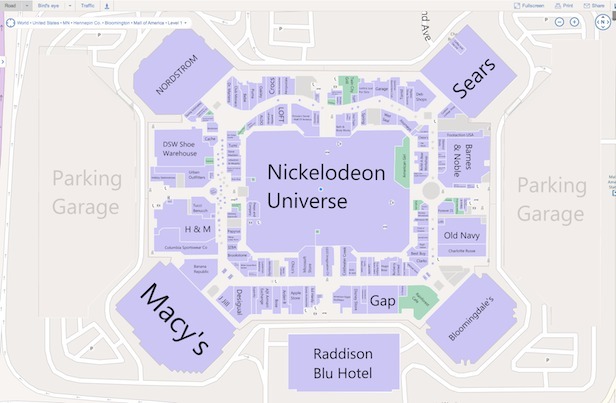 Mall Mapping & Analytics - GEOmarketing Solutions Group Inc.
We can map your mall, either from existing CAD files or from scratch using the latest camera based mapping technologies to capture your mall in 2D or 3D. Once mapped we can add a network of sensors that can track cell phone movements throughout your mall and provide wayfinding for your shoppers. All tracking is anonymous - there is no link to any personal information. This data enables us to map the flow of shoppers and identify the hot and cool areas within your mall. © 2017 GEOmarketing Solutions Group Inc.